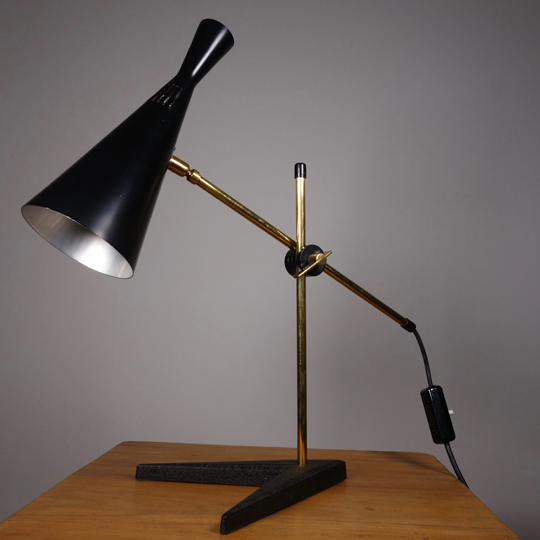 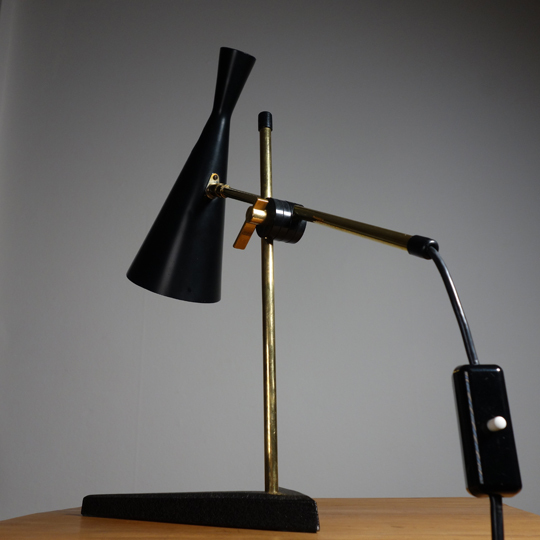 Iconic Desk Lamp Designed By G. A. Scott For MacLamp Co. (London/ 1958). 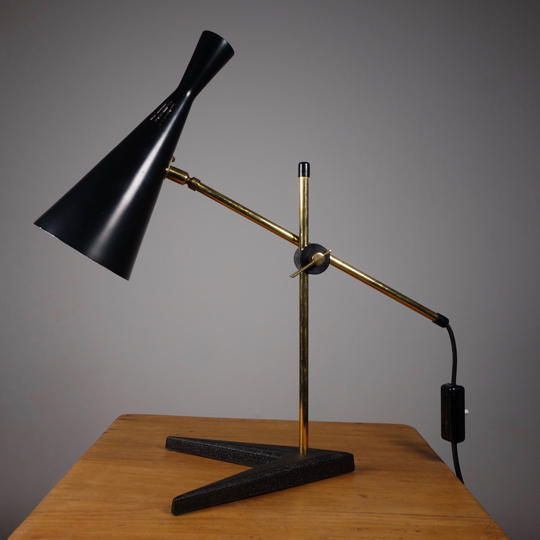 Beautiful example of British mid 20th century design. 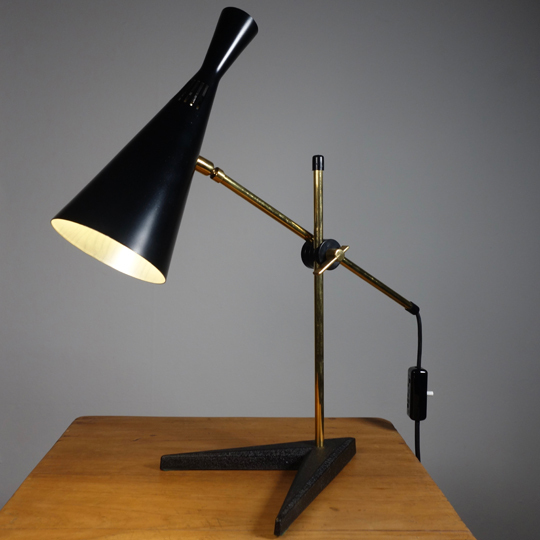 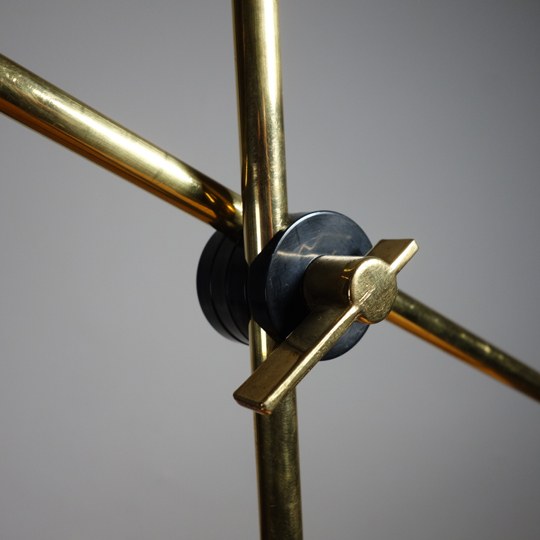 Aluminium shade in black finish with adjustable brass stems supported on a cast iron v-shaped foot. 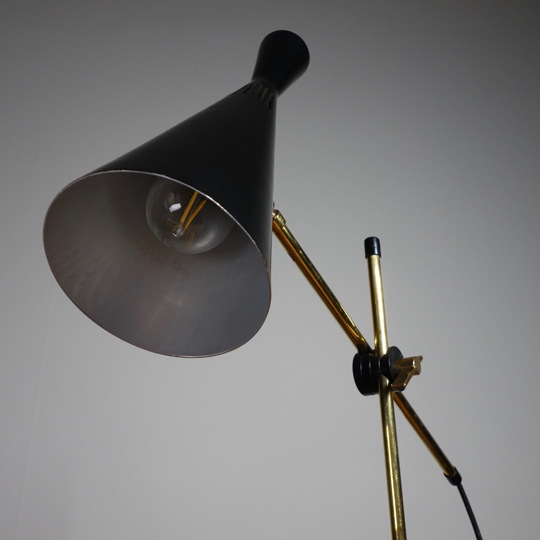 In very good vintage condition presenting very light signs of wear on the brass and shade. 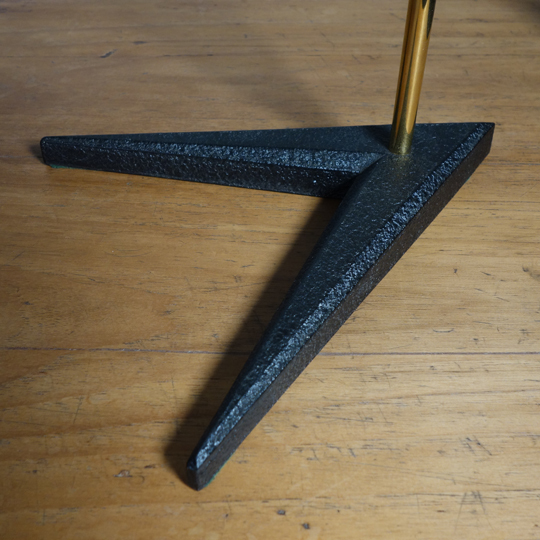 Height (fully extended) 43cm (Shade: L 25cm/ dia: 10.5cm).